True to size. 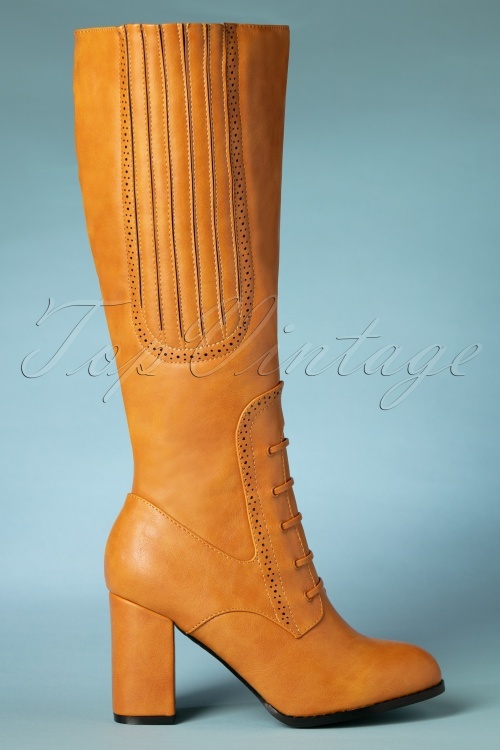 Unfortunately, less suitable if you have a curvy calf. 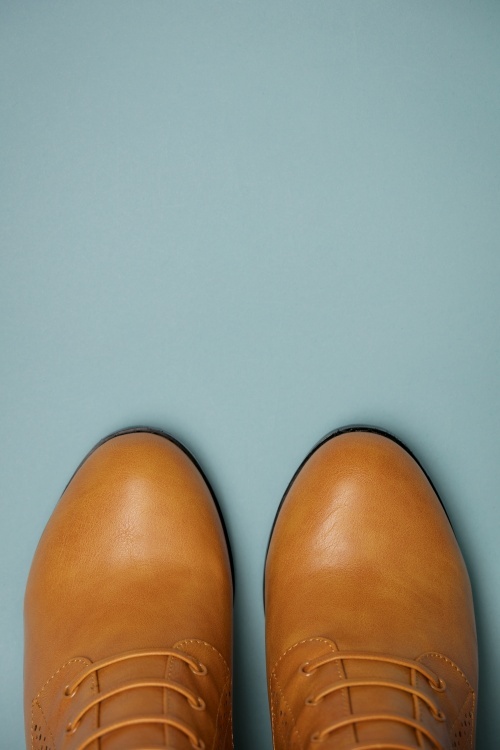 You can kick anything with the right boots! 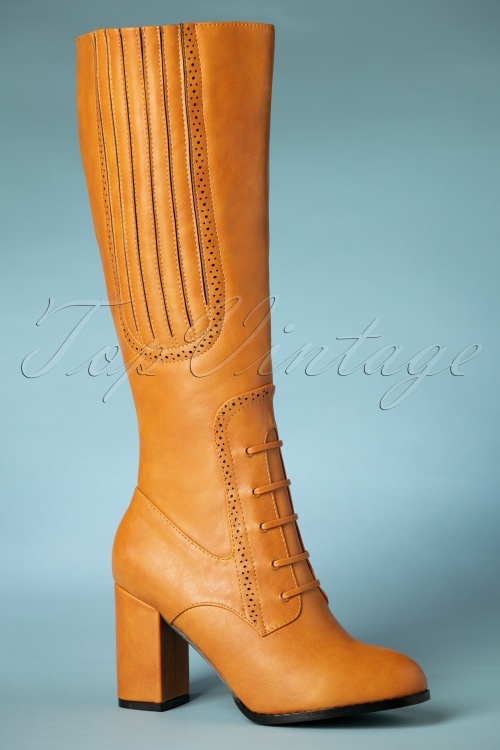 And we'd love to kick winter with these powerful and stylish 40s Roscoe Boots in Tan Light Brown! 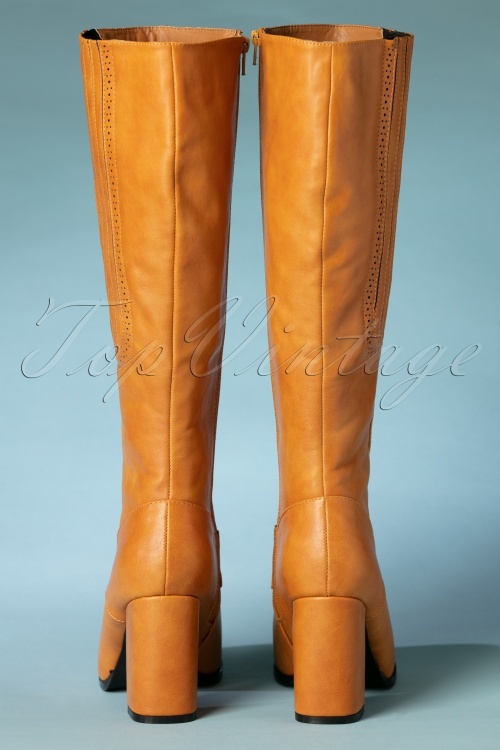 These fabulous high boots are made of camel-coloured faux leather, finished off with a faux lace-up fastening, a chunky block heel and brogue detailing. 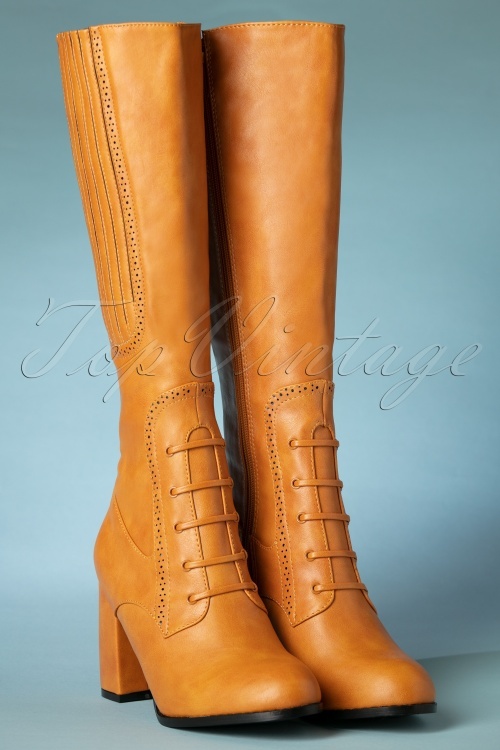 Pair these boots with a swing skirt or dress and a woollen coat so everyone can enjoy your classy vintage look!